﻿ Best Weed Grinders of 2019. 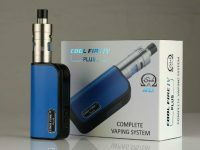 Improve Your Weed Vaping Experience! No more fuss and poorly ground herbs! With 4-Piece Space Case Grinder you get even particles of the excellent quality, sturdy feeling of a titanium-coated device with the exceptional ease of use and longevity. How is this all possible? The whole thing was machined with client needs in mind. The diamond-shaped teeth are always sharp and provide for the fastest grinding process. The four-piece construction cares for even material, pollen separation and non-stick coating makes sure no particles are left behind as you finish. The Teflon-grade O-ring caters to smooth grinding, and the lid magnets will help you avoid spilling. Granted the Space Case deserves the title of the best herb grinder. 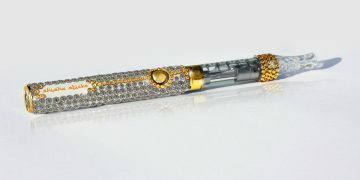 Moreover, the owners of the top-notch titanium Space Case drive public attention. Why not join their ranks? How the most straightforward wooden device got the top-selling grinder? 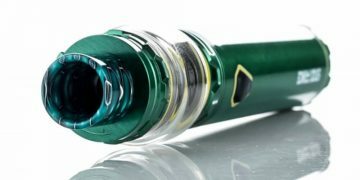 It doesn’t feature high-tech mechanism or a majority of compartments, and yet, it’s still top-popular as the best weed grinder among the vaping adepts. The device carries the famous MFLB logo, comes in natural wood, but what is most important is the micro-fine grind of perfect quality. The intuitive design fits perfectly to the MFLB tank opening, making it super easy to deposit your herbs in the vape. The uniqueness of the Magic Flight Finishing Grinder lies in the specific air of Magic Flight style, its perfect match to the MFLB and natural wood design in three types of finishing, that are easily recognizable like all the branded stuff. 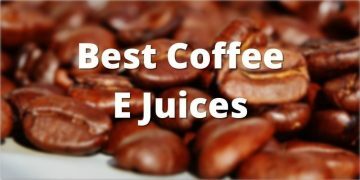 Remember the best moments of vaping! And make sure to get rid of lousy herb downsides, like combustion and low vapor. The Aerospaced Groove 4 Piece Dry Herb Grinder swipes away the fuss while preserving the highest grind quality, spill-free experience, and longevity. The razor-sharp teeth will turn the grass in powder, and a magnetic lid makes sure it doesn’t get off accidentally when used. The credibility provided by Aerospaced wins respect, and there are little other tools in the class to match. It’s truly one of the best weed grinders on the market. You are an experienced vaper, and you know how to make your flowers perfect. You think there is no need to move forward and you mistake! 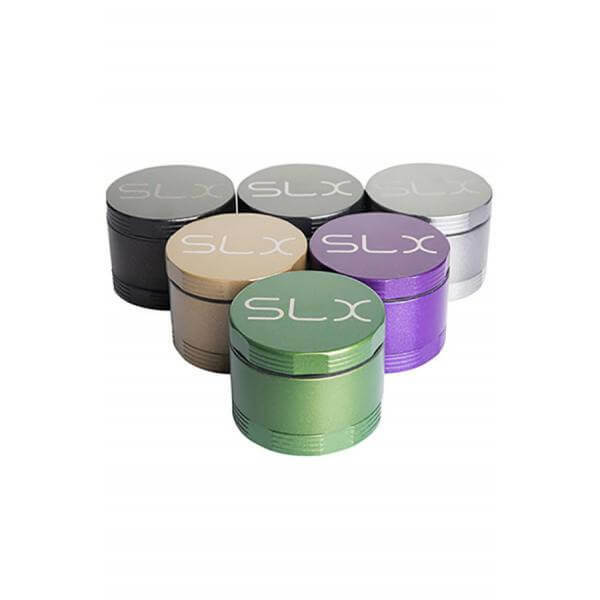 The SLX Dry Herb Grinder 2.0 can enhance the ideal, and break the limits. If you grind your herbs small, this herb grinder makes them smaller. If you tend to scatter some of the herbs around, SLX keeps everything clean, and if the usual grinders break, this one will last for years. 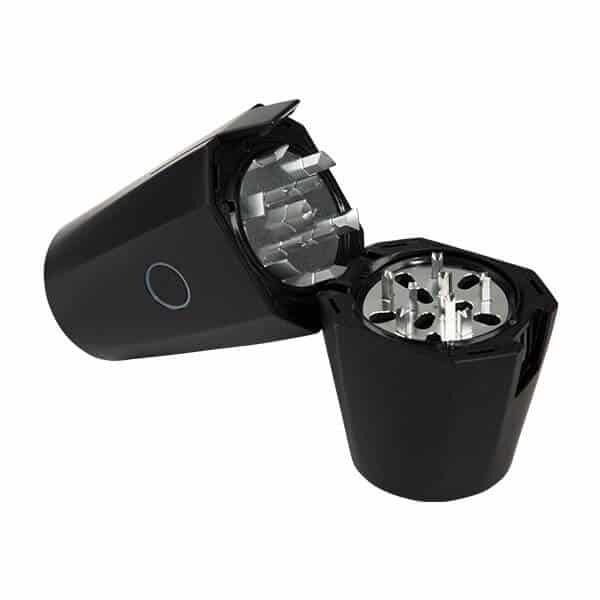 With SLX Dry Herb Grinder 2.0 you get trapezoid-shaped teeth, an easy-to-load cup, and a seven-machine construction. It is available in different color variations, so you get one to your taste. Meeting all your needs, this device is a must-have even if you’ve used doing everything on your own! Look boring when grinding your herbs manually? Get ready to shine! The OTTO is here to make you a hero. OTTO is the first electric grinder with a handful of useful traits and one of the best herb grinders. 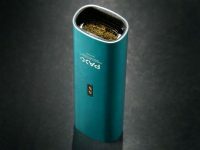 It blends your herbs in a couple of moments, gives them the perfect size and amplifies the user experience thanks to the one-button functionality. The benefits include spill-free filling, odor protection, fast USB charge, high-grade metal teeth, portability and sleek design. Moreover, the device rolls perfect ready-to-use cones from your ground material. 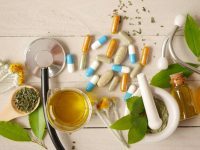 This tool features the unique SMART technology that can sense the consistency of herbs and adjusts the speed accordingly. And even more, it improves the grass to the granule size and mimics the movements of the real human. The grinder looks so unusual that immediately drives attention in a public place. Is this your goal? Make a show from the routine right on the next-coming party. Don’t delay! Preparing vaping herbs is a nuisance. You never have the right size of particles, and it’s time-consuming and smelly. Imagine you could have even particles of the proper size without hustle. Interested? Buy a cool herb grinder and leave all the troubles behind. 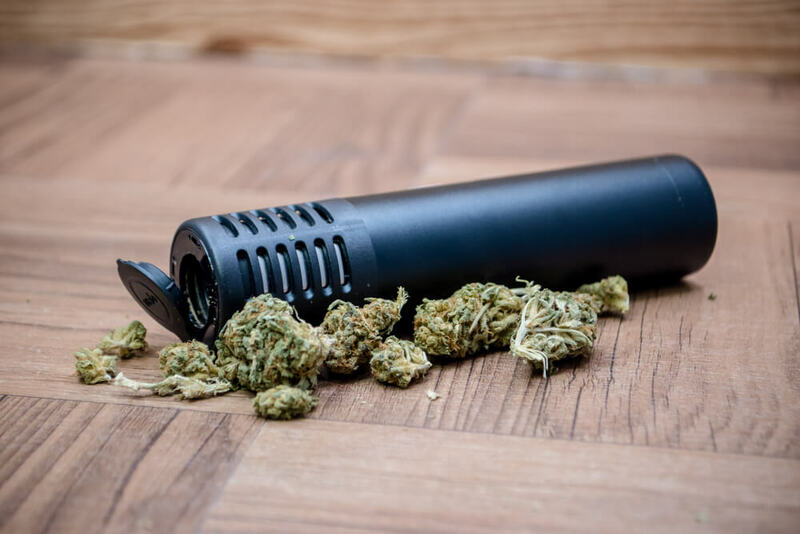 Perhaps, you’ve already searched for a good weed grinder, and you naturally dashed into a chain of questions: Where to buy an excellent weed grinder? 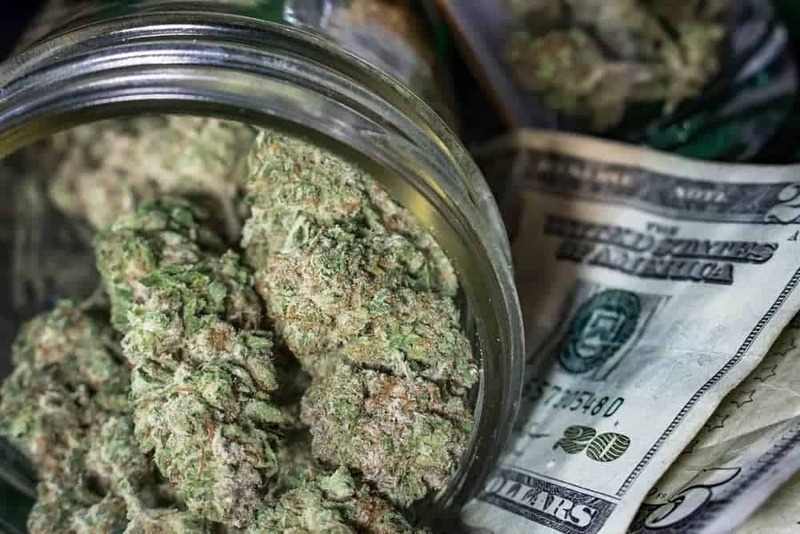 How much is a weed grinder? How to clean a weed grinder? 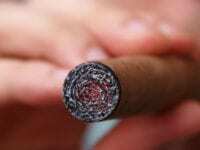 and What are the best grinder brands? If yes, congrats! You will find all the answers and much more info below. We have prepared a thoroughly comprehensive study of different types of grinders and invite you to dig into it right now! The weed or herb grinder, also known as a marijuana grinder is a tool made of wood, acrylic or metal. It features from one to three compartments and often comes in bright-top notch design. The primary element is the lid with the grinder teeth. The additional compartments sort properly-ground pieces and pollen. Let’s have a closer look on the grinder builds. Two-compartment grinders feature the same grinding compartment plus one more. Ground particles travel to the second chamber when they reach a certain size. 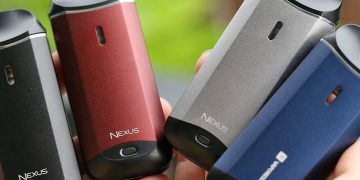 The evenly ground material provides for the best, combustion-free vaping experience and retracting ground herbs is a fun. Three-compartment grinders feature one more screen-top chamber for sorting out pollen and kief. This type is known as a four-piece grinder and wins our recommendations. Evolution rushes, and we are to expect even new and perfect tools tomorrow. Today, be sure you get the best marijuana grinder to state your style among fellow-vapers and friends. Why do we need herb grinders? 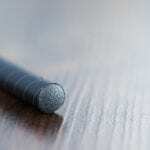 – Get even particles for combustion-free sessions. – Spend time on relaxing, not grinding. – Forget the hustle –do everything in a few simple motions. 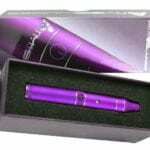 – Attain the affection-winning look of the crackerjack vaper. How to choose the best weed grinder? Here are the top essential qualities: the number and the shape of teeth, number of chambers, material and unique features to enhance easy use (lid magnets, etc.). Pay attention to a price that depends on the number of chambers, screens, and add-ons. With herb grinders, we prefer quality to saving. Therefore, our recommendation is to buy a costly tool, unless you are looking for a one-time experience. We’ll start our review of the most affordable and simple material, that is acrylic. Buy acrylic grinders as a temporary solution at gas stations or convenience stores. They don’t promise long life and high-quality due to the week material, but they also don’t cost much. Designed for a couple of grinding sessions, they are best for herb-vaping starters or as a substitution when the main item is not at hand. 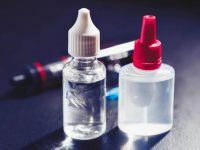 Be super-careful with broken-tooth particles in your material, as inhaling hot acrylic vapor is dangerous to your health. To prepare these, makers invest tons of time and effort, no wonder they usually come in 1-compartment design. It is perhaps the only disadvantage of wooden grinders compared with more advanced metallic ones. Their main strength in the natural wooden design that makes it attractive to people with particular tastes. Beware the finishing of any kind since the particles of paint or varnish may get into your herbs. Therefore, it is best to choose raw wood grinders. Metal grinders are our winning class. The most used material is aluminum, less often titanium or titanium-plated aluminum. Both elements are used to craft best pieces with multiple compartments and excellent quality. In the average, the box contains about to 50 teeth for 2.5 inches diameter. The proportion of the tooth number preserves with different sizes. A small herb grinder has a lower amount of teeth and vice versa. Still, it is the classic situation where more is better. The more teeth equal, the more excellent quality of grind. The shape of teeth makes the difference. They come in diamond or square shapes with sharp corners. Some experiment with long narrow lines with sharp edges, but the best-proven design is the diamond shape. The hole pattern of a weed grinder is like fingerprints, meaning it is unique to every trademark. Circular patterns are most famous, as they allow a massive amount of herbs come through. Some makers utilize oval holes, but we still recommended classic patterns proven to provide the best quality. 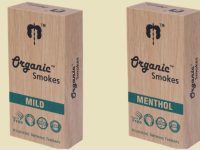 Having magnets on the marijuana grinder box may seem just a handy add-on invented to beat the competitors, but in fact, it may appear to become an essential element of the hustle-free grinding. 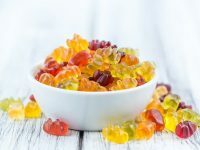 While twisting and shaking the lid may come off, letting the material scattered around, which is not the candy. Some units also have the magnets for the second piece to provide the utmost security. The herb grinder’s design needs a separate approach. 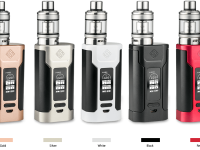 Each of the makers inserts a touch of uniqueness and a handful of handy-features to make their pieces suit the needs of their vapers to the best. One of the advantageous features of grinder design is the removable filtering screen. It gives you simple filtering and cleaning, as well as provides a chance to replace it when broken or worn out. 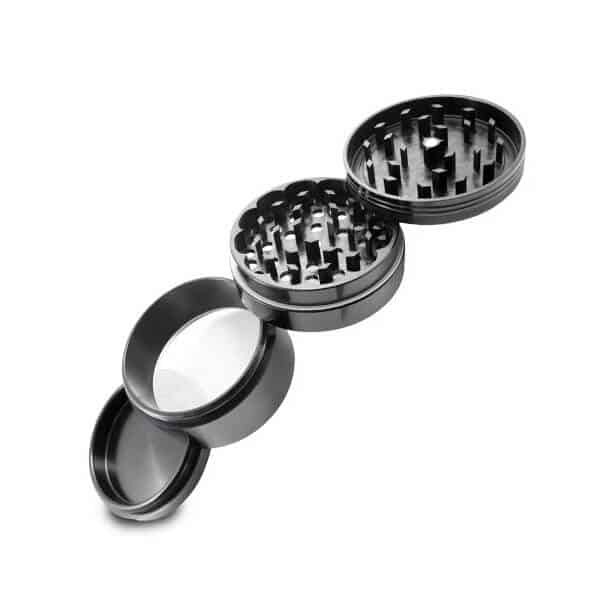 The majority of grinders feature a circular design. Some have the particular points for fingers catering to comfort and a tighter grip. The little rivets on the lid make opening and refilling no fuss and pleasure. Most companies continue adding features that improve the overall user-experience design to fill every motion with joy. Do you want to have more? 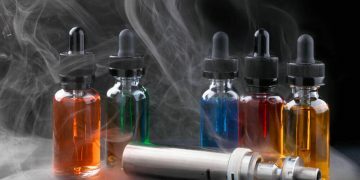 Vape industry has already included this into the offer. The majority of brands include handy add-ons like carrying bags, pollen scrapers, and special packaging to their products. The carry bags are most often made from the velvet-like materials and have drawstrings to fix a grinder inside. The pouch makes a grinder more portable and protects it from damage when not used. Many starter kits include pollen scrapers for removing kief and pollen from the bottom of the device. It eliminates any hint of hustle from maintenance procedures and adds to the cleaning speed. It is worth mentioning that the brush is very tiny and easy to lose, so we recommend having a couple of extra-ones, just in case. Some brands make it their unique feature to include customized gift boxes for keeping your tools. That takes away the holding hustle and lets you find a proper place for your device at home. Only renowned companies provide these add-ons thus making their users dedicated brand ambassadors. It’s never just a weed grinder, right? 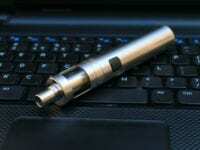 The whole vaping process is about your personality, and your tools become a message of your nature. The marijuana grinders aren’t the exception, and you have a wide range of colors to choose. Although the majority of products come in bright and high-tech colors, like rasta, you may stick to plain and natural looking items in raw wood and uncoated metal. When querying for the best herb grinder, we certainly want to maximize our vaping experience. Therefore the main point to consider is the quality of ground herb at the output. The materials, number of teeth and filtering departments are the criteria that matter. Material – aluminum. The best grinder material offered today is anodized aluminum. Metallic grinders live longer and provide faster and better grind. Anodized aluminum may have colorful shades without using paint. Therefore no chemicals will chip out. Teeth – diamond shaped, 50 per 2.5 inches. The number of shredding teeth should be relevant to the size of the grinder. The more is better, but in general, an excellent result is 50 teeth for 2.5 inches in diameter. 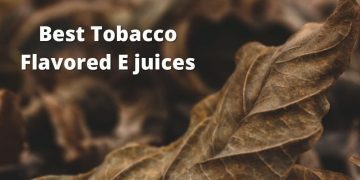 The sufficient amount of teeth provides the fine and even grind, resulting in combustion free flavorful vaping. Compartments – three. 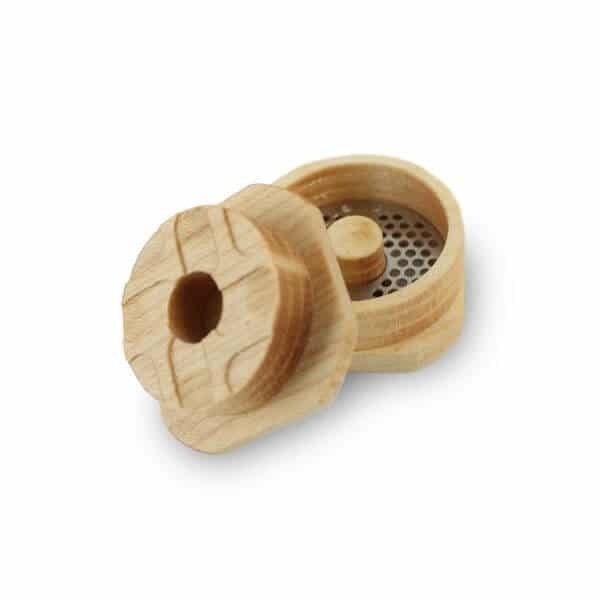 The number of filtering parts adds to the quality of prepared material, so the best grinders consist of 4 parts, which include a magnetized lid, the second piece with the holes in the bottom, the third chamber for herb and the pollen screen on the bottom and finally a compartment for kief and pollen. Be sure to do thorough research before buying. 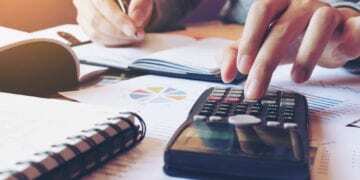 The price-to-quality ratio differs from brand to brand, and you may lose by paying more when getting less. Prices depend on the number of parts and material. The one compartment tools go for the lowest prices, while four-piece metallic ones take the upper limit. Anyway, you get what you pay for, and the more is better in this case. Therefore, we recommend buying expensive weed grinders, priced about $40 for the best quality and longevity. 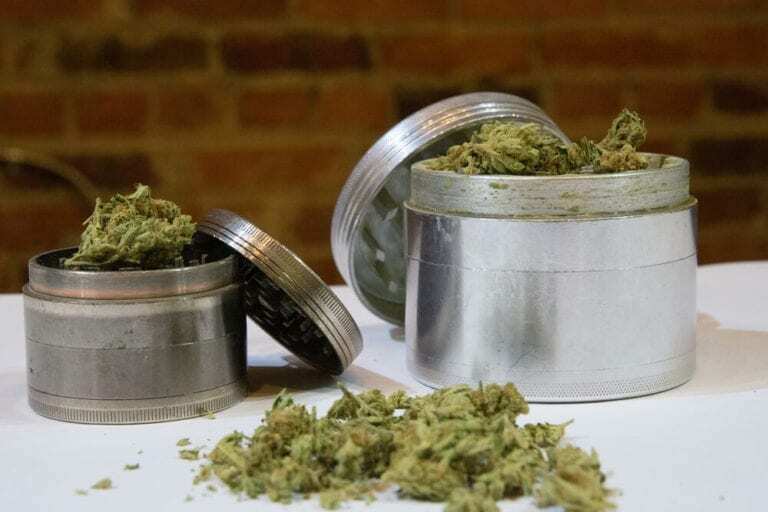 Except for conventional stores, gas stations and dedicated shops you may buy weed grinders in places like Amazon and eBay. 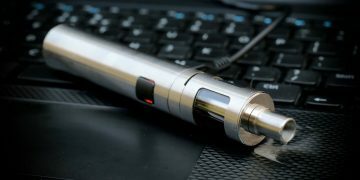 Our goal is to provide fellow-vapers with the most relevant info for maximizing their experience. Dry herbs and weed are all about fun and no reason to lose it having improper accessories. 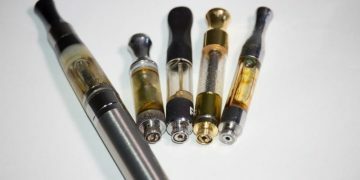 Step up on the quality of dry-herb vaping by choosing the best marijuana grinder that will enhance your experience.